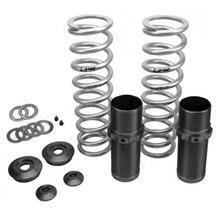 Was just wondering if a 14" spring 150lb rate front would go good with a 10" 150lb rate rear? mostly drag racing the car, but still driving it on the street. I would recommend the 125 LBS for the drag racing application.